While most Asian nurses are not familiar with aged care nursing homes, next to hospitals, it is the largest employer of nurses in most western countries. 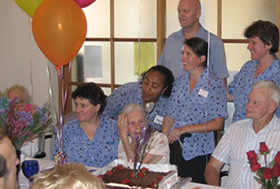 There are almost 3,000 aged care homes in Australia caring for 155,000 residents. There are over 35,000 registered nurses caring for these residents. Almost 70% of these residents require a high level of care. The majority of these facilities are privately owned. In Australia this segment is growing rapidly, as the population ages and requires more health services. This compares to India of 64.7 years. Ageing of the population will lead to a rapid increase in number of Dementia and Alzheimer’s.